This is a very rare and interesting piece of mid-century Scandinavian jewellery. 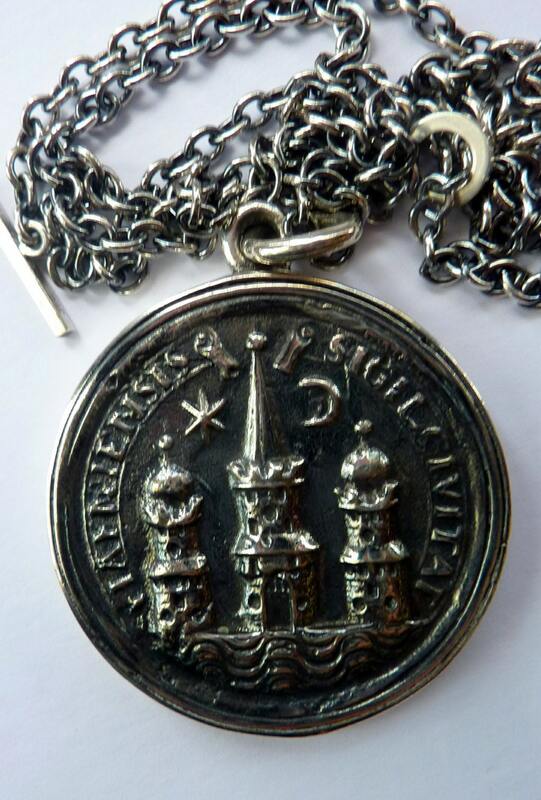 It is a large pendant medallion - which I think shows the Rosenborg Castle. 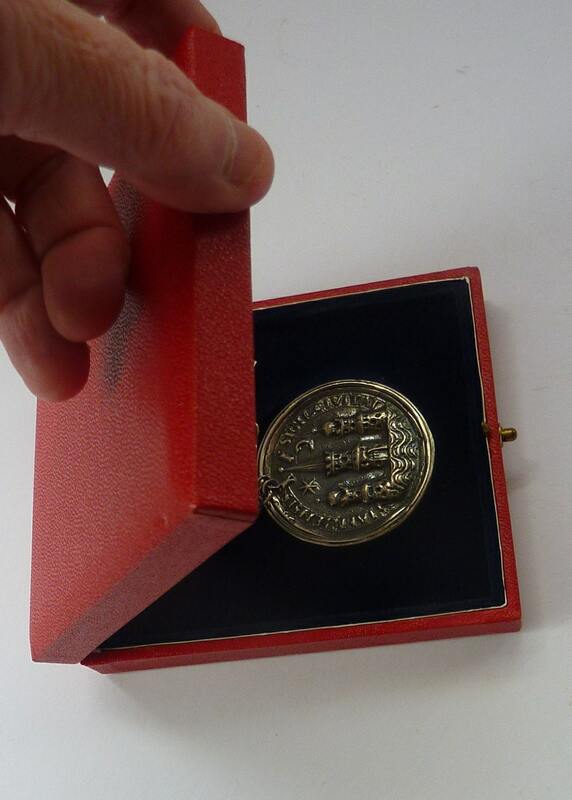 It is signed on the back with the initials JTH - which is the monogram for Jens Tage Hansen, who was a modernist silversmith working in Copenhagen between 1954 - 1964. 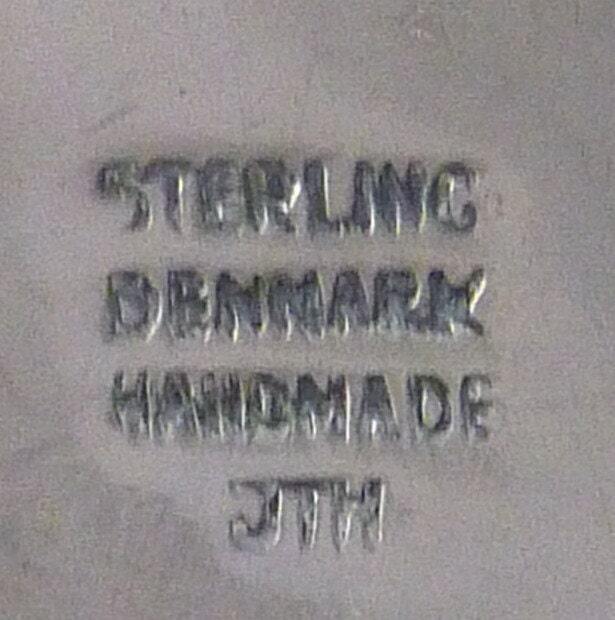 Marked on the back: STERLING / DENMARK / HANDMADE / JTH. 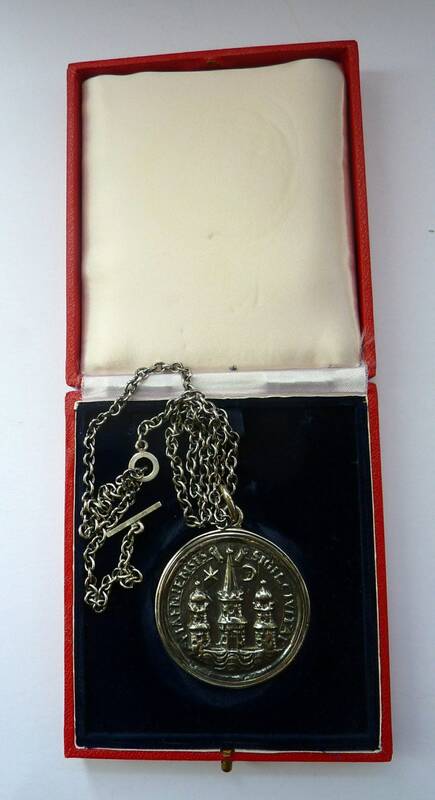 The medallion is 5 cm in diameter and weights 74 grams. In original red leather presentation box, which measures 10 x 11.5 x 2.5 cm. Very unusual design, medallion with a lot of weight to it and in good condition. 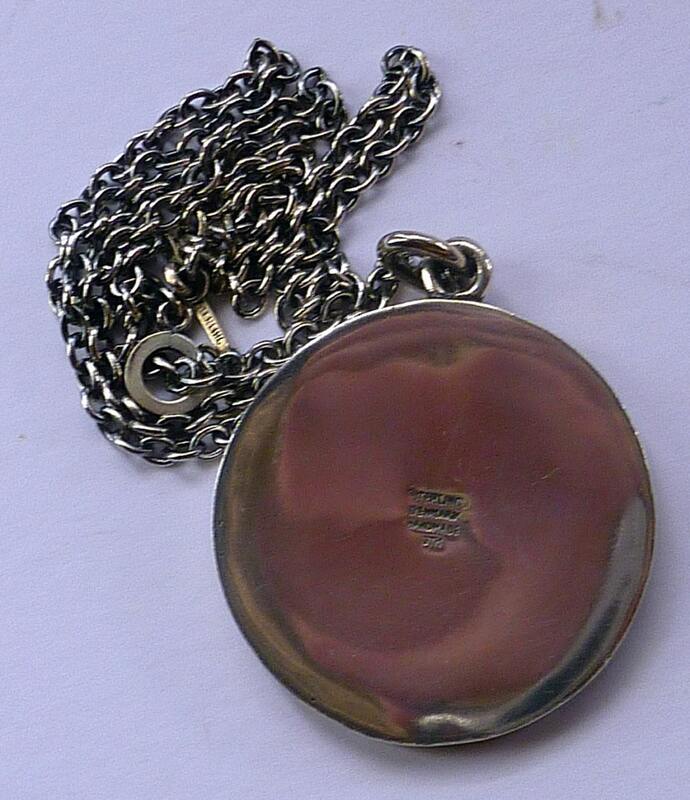 Great modernist mid century Danish pendant - the weight and rarity is reflected in my asking price.